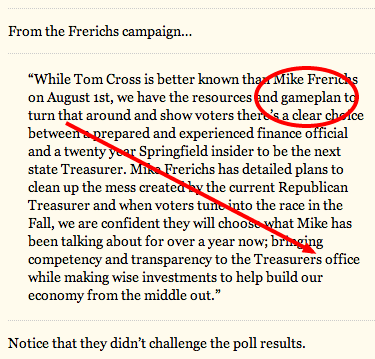 Things just go from bad to worse every time Mike Frerichs opens his mouth or his campaign sends out a note. We just covered how they forgot the apostrophe in "Treasurer's office" in their response to the news that his campaign is losing ground to Tom Cross. But..an astute reader of the Truth Team told us to look closer at the statement for another mistake. 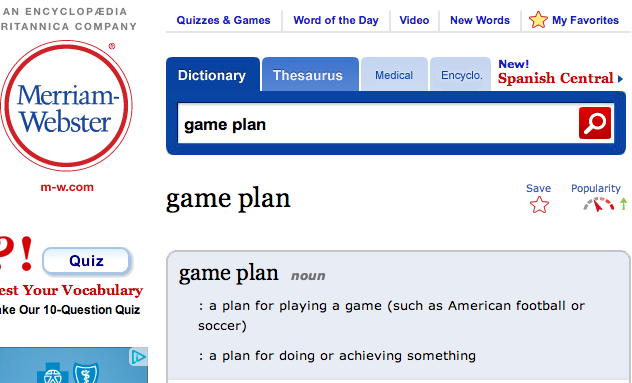 Turns out...the word 'game plan' is actually two words, Mike. You guys made it one. Whoops! Here's how Webster's shows it is actually two words. Can't get anything right, eh Mike?